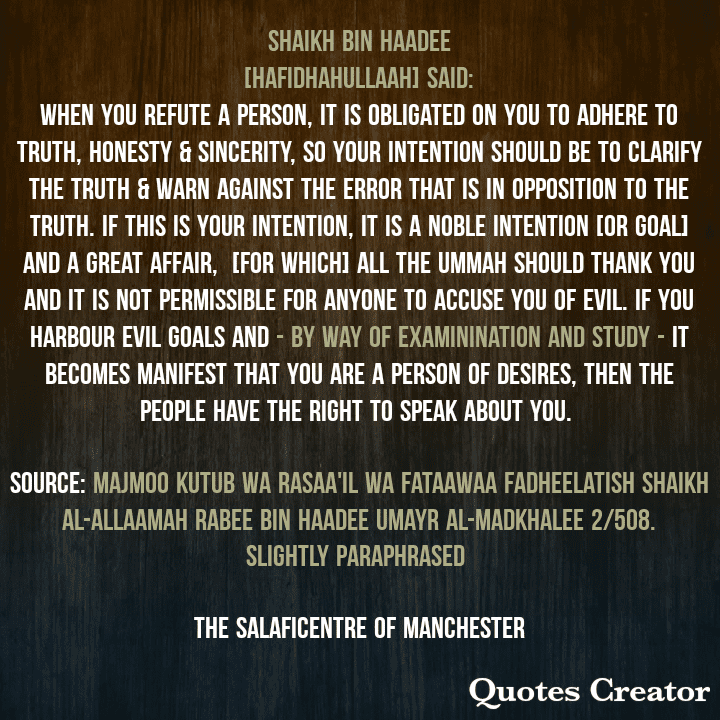 Shaikh Bin Haadee[hafidhahullaah] said: When you refute a person, it is obligated on you to adhere to truth, honesty & sincerity, so your intention should be to clarify the truth & warn against the error that is in opposition to the truth. 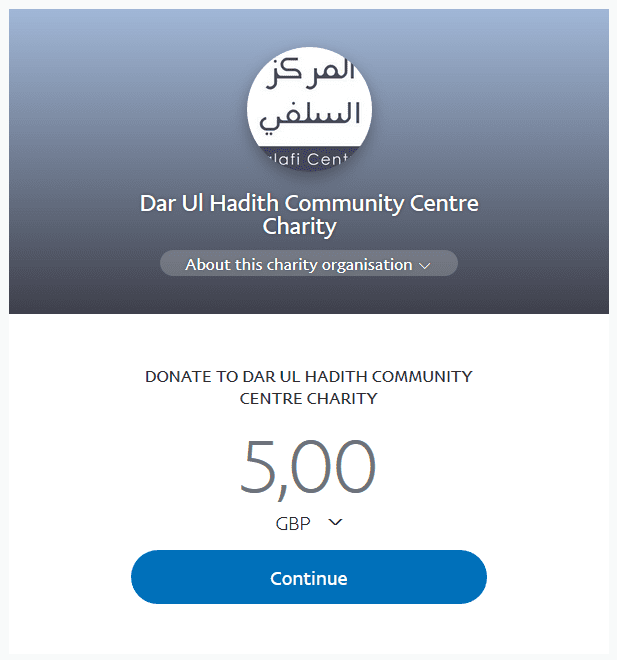 If this is your intention, it is a noble intention [or goal] and a great affair, [for which] all the Ummah should thank you and it is not permissible for anyone to accuse you of evil. If you harbour evil goals and – by way of examinination and study – it becomes manifest that you are a person of desires, the people have the right to speak about you. Source: Majmoo Kutub Wa Rasaa’il Wa Fataawaa Fadheelatish Shaikh Al-Allaamah Rabee Bin Haadee Umayr Al-Madkhalee 2/508.